Growth in vehicular traffic, construction activity and industrial base has created issues of air pollution and dust in India. The recent years have seen a new hazard of smog affecting various parts of the country. 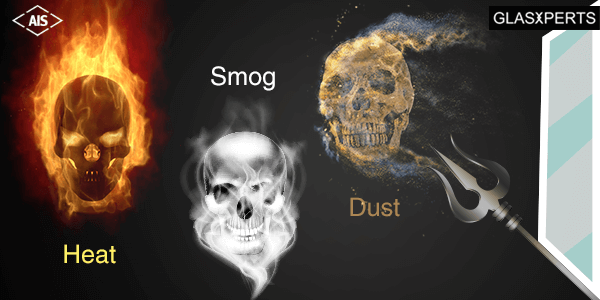 Smog is an alarming situation and can be more hazardous compared to air pollution. 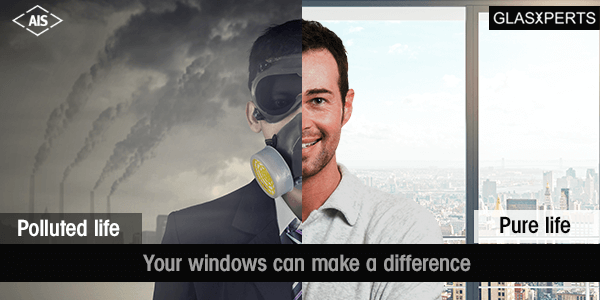 To counter this issue, Glasxperts ensures that your window systems are air tight and prevents any air leakage. A gap free window solution with advanced functionality! These window solutions restrict the air transfer from exterior to interiors and do not let unwanted air inside. Smog and pollution resistant glass solutions help reduce the use of artificial air purifying devices. By bringing down the use of air purifiers, home and commercial space owners can save a lot when it comes to electricity bills. These window solutions help experience a healthy lifestyle with minimum use of artificial purifying sources. If you are already using an air purifying device, then you can always check the quality of air before and after installing air tight windows. You’ll notice a huge change in the amount of pollutants in the air after you install the innovative pollution & smog resistant windows. At Glasxperts, we have an expert team of survey engineers who go through every possible inlets from your window opening and while installation, putting dedicated efforts to fill-in the airgaps to manage issues of pollution prevention and reducing acoustic and guaranteeing safe & secure living. 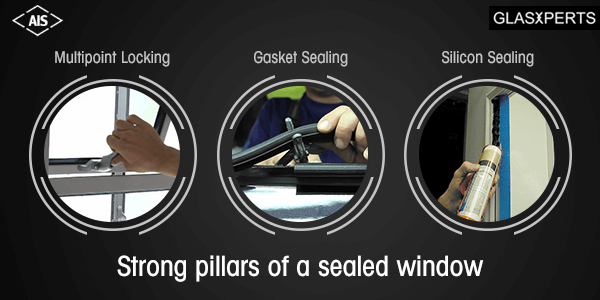 Strongly sealed windows with high quality gaskets and joints. These high quality fusion welded joints ensure that there are no gaps left and they don’t allow pollutants to enter the living space. These advanced multipoint locking systems ensure extremely tight closing of the outlet. This locking system keeps the pollutants outside. 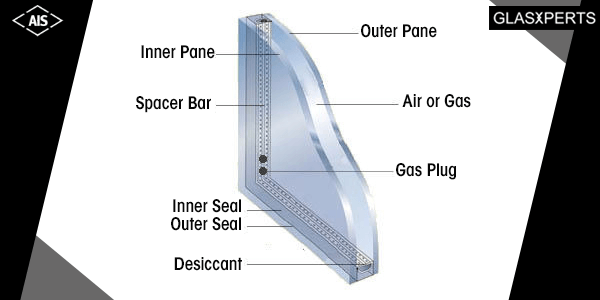 Silicon Sealant adds our special attention to the issue of air leakage through the gaps of window and wall. 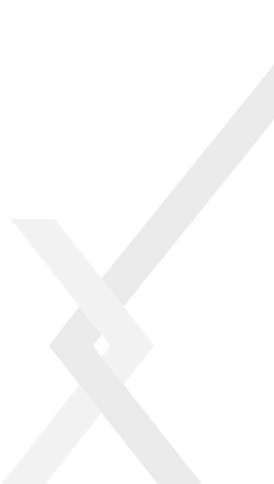 Specialized high quality silicon sealant ensures that these gaps don’t exist and thus preventing the leakage. Double Glazed unit glass solution belongs to the range of modern glazing systems which are integrated in window systems. The multiple benefits of double glazed solutions prevent heat, noise and are highly durable. Completely sealed DGU is an advanced technique that plays its role effectively when it comes to air leakage. AIS has specialization in manufacturing these DGU glasses which enable Glasxperts to create a gap proof window system. Retrofitting is the technique of adding an extra layer of glass on the existing window from inside. At AIS Glasxperts we have a highly specialized window solution where we retrofit your windows using this technique. This also adds additional benefits of acoustics, heat reduction, UV protection, dust reduction etc.